Those who climb the Kor-Ingalls Route of Castleton Tower, a classic adventure on a coveted desert tower, face a choice on the third pitch. There are two ways to scale the rough, tough, foot-wide crack between its vertical sandstone faces. Option one requires shoving the left side of the body into the crack and painfully forcing one’s way up through awkward contortions about an inch at a time. I jammed my left arm and leg into the crevice and attempted the inchworm maneuver. After multiple grunts, groans and expletives, I realized an inchworm would have made better progress. Time for option two: a lieback, a more common climbing move that involves pulling with the arms while pushing on the legs. This felt far more secure and I moved through the crux fairly smoothly. The trouble with liebacks is that they require full exertion from all four limbs; there’s no easy way to free a hand to place a piece of gear in the crack. A climber could ascend the rock high above the last protection, feeling solid right until the instant he takes a long fall. 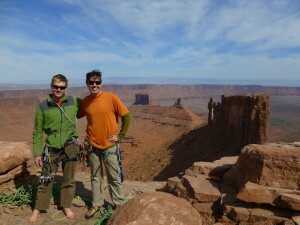 Thankfully, my partner and guide Jerome Smart had led the pitch and I climbed with the security of a top-roped belay. 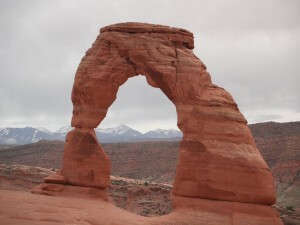 I’d always wanted to visit Moab and climb in Utah but the calendar and circumstances never cooperated. As a teacher, I have time in the summer, though that’s the wrong time to climb in the blazing hot desert. I enjoy climbing with friends and family, but none of my usual cohorts were ever free to race to Utah during my spring break. This adventure was never going to happen in my usual style, I realized. Time for option two. I decided to enlist a guide to help me climb some of the classic towers of the Utah desert. Jerome Smart and Matt Johanson enjoy completing the Kor Ingalls Route. Castleton Tower in an area near Moab called Castle Valley was one. Its Kor-Ingalls Route (rated 5.9, fairly difficult but achievable for climbers in my ability range) is one of the coveted 50 classic climbs of North America, as named by climbing pioneers Steve Roper and Allen Steck. First climbed in 1961, it was also the site of a 1964 Chevrolet commercial featuring a convertible and a pretty model delivered by helicopter to the peak. Both were gone when Jerome and I arrived and found a condom in the summit register box. 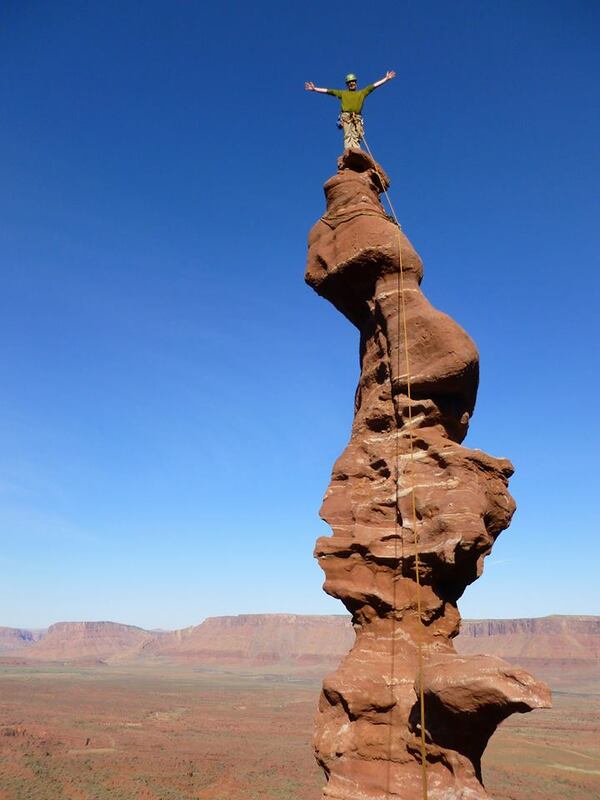 Attractive sandstone surrounds Moab, enough to provide a lifetime of climbing challenges. Evan Clapper, my other guide and partner, suggested trying an area about an hour south of town called Indian Creek in Donnelly Canyon. There we found perfect spring conditions, friendly fellow climbers and a lifetime supply of hard crack climbing. Beginners need not apply around here. Most everything is rated 5.10 or higher, providing a paradise for high-end climbers and a suitably challenging setting for a climber of moderate ability like me. The Naked and the Dead, Elephant Ear and Chocolate Corner were a few of our enjoyable routes. Evan saved the best for last: Generic Crack. Don’t let the name fool you. There’s nothing bland about this long and physical crack climb that requires sustained fist jamming and endurance. But as much as I enjoyed the climbing, Moab offers far more than that. 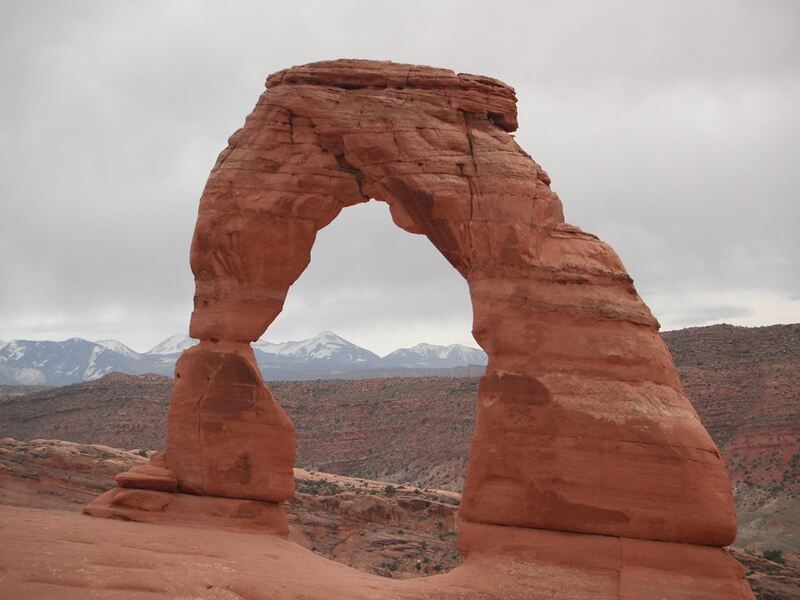 Arches National Park, just a few minutes from town, boasts some of Utah’s most beloved short hikes and scenery. Wonderful photo opportunities await at Delicate Arch, Landscape Arch in Devils Garden, Balanced Rock and many other easy destinations. Stick to hiking and photography here; climbing Utah’s favorite landmarks is strictly off-limits and a surefire way to tick off the locals, as the accomplished alpinist Dean Potter discovered after scaling Delicate Arch in 2006. 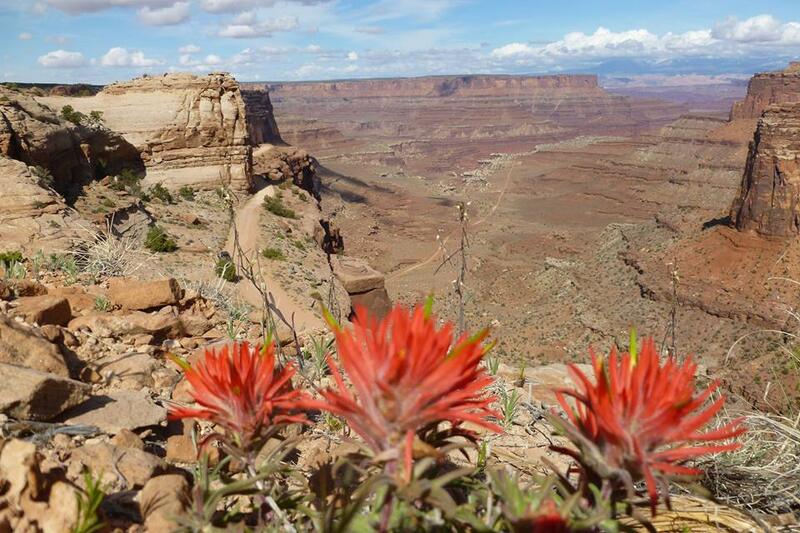 Canyonlands National Park offers equally striking landscapes and countless hiking and backpacking opportunities. Easily-reached vistas abound in Island in the Sky, the popular northern region of the park. The photogenic Mesa Arch attracts many; sunrise bathes it in the best colorful light for photography. Ponder the mysterious Upheaval Dome or explore the magnificent Grand View Point. Visitors can easily see all of the above in a day, and those with more time can find rewarding discoveries in The Needles or other more remote areas. Aside from the nearly infinite outdoors opportunities, Moab has interesting character, and characters. I was astonished to learn about the exploits of “Arch Enemy,” a daredevil pilot who flies airplanes through the region’s trademark arches. Other interesting Utahns created “Hole N The Rock,” a home, a zoo, a store and a tourist draw burrowed over 20 years into 50,000 square feet of an enormous sandstone cliff. Perhaps taking inspiration from this, a group of polygamists dug and blasted into rocks of their own, building a unique community that now houses about 80 people. For me, the trip was all about climbing and I had one other route in mind. The Fisher Towers area sports Ancient Art, a four-pitch, 300-foot route with a wildly exposed summit shaped like a giant corkscrew. Climbers line up all day to “send” this gem, so Jerome and I met at 5:30 a.m. to beat the rush. This turned out be a great call as our early start placed us ahead of half a dozen parties that arrived while we climbed up the red sandstone. The lower pitches involved some fun stemming (extending the arms and splitting the legs) at a stout but manageable difficulty of 5.10. Then climbers tread cautiously along a narrow ledge with steep drops on either side to reach the final pitch. The fragile-looking but hopefully solid corkscrew is one of a kind and great fun. A photo here is a must, and for extra points, stand on tiny summit block before your partner takes the shot. I’ve shied away from professional help in my 20 years on the rocks, but climbing with guides on the Moab trip opened the door to adventures that I may never have otherwise experienced. I’m glad I did; it was a far better choice than staying home. Guide services: Moab Cliffs and Canyons teaches beginning rock climbing classes, guides more challenging desert tower ascents and leads canyoneering expeditions. Lodging: Moab offers a wide variety of hotels and inns. 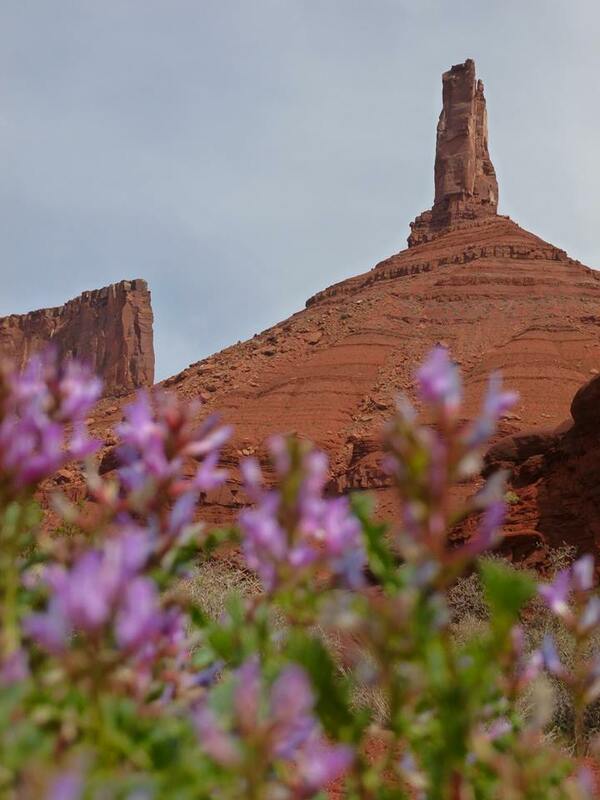 Camping is available on public land outside of town near Castle Valley, Fisher Towers and Indian Creek. KOA, a few miles from the center of town, offers a nice blend of convenience and value. Visit www.koa.com/campgrounds/moab. Transportation: those who would fly can now take advantage of Delta Airlines’ daily service from Salt Lake to Moab. Restaurants: Milts Stop & Eat is more than a fast food joint. The oldest restaurant in Utah, it offers tasty grass-fed beef burgers, buffalo burgers, homemade ice cream and local charm. Find it at 356 Milcreek Drive.